Fortnite features several healing items, but one fan is looking to make the Legendary Chug Jug even better. 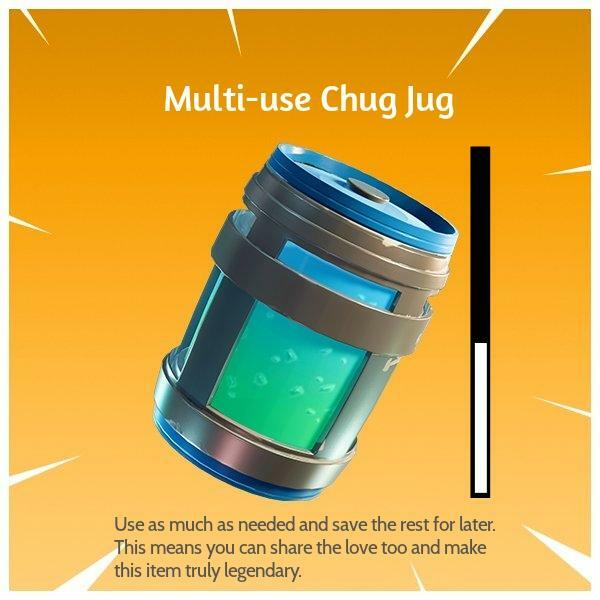 Redditor dj3dx submitted a graphic which his idea of turning the Chug Jug into a multi-use item. 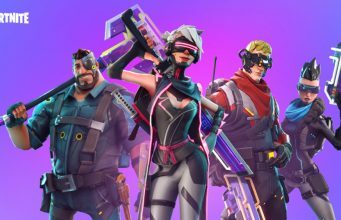 The concept would allow players to use as much as the Chug Jug as they would like and would allow players to use the rest later. A multi-use Chug Jug would be a great solution for team healing as well, as the multi-use Chug Jug could theoretically be passed around. One user submitted their own suggestions within the comments with their ideas towards a multi-use Chug Jug. _Nordic recommended that the Legendary healing item would contain five total sips; One sip would last three seconds, and each sip would heal the player with 40hp or shield. Another user, BagelsAndJewce, submitted a list of every item’s healing time and total. BagelsAndJewce explained that the recommended “sip” time and total would make the item uneven as the multi-use Chug Jug would reward more healing and shielding at a faster rate than any other item. 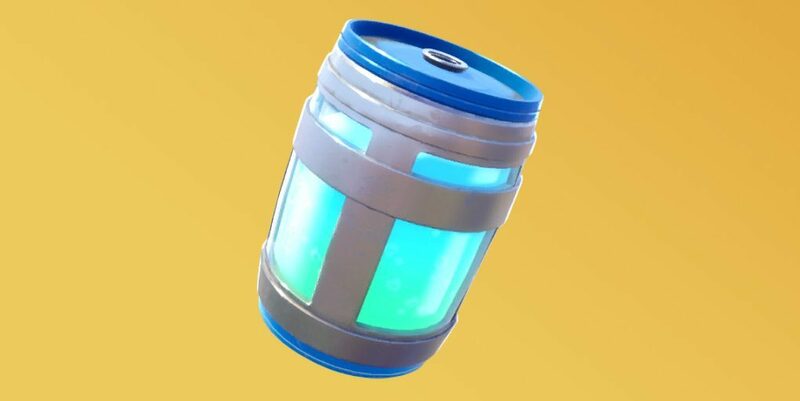 Do you think the multi-use Chug Jug would be too powerful as a healing item?